This is the #38th set of PHP Interview to help aspiring PHP developers and PHP fans alike to get inspired by listening from those PHP guys who are already highly involved into the PHP Ocean and being ‘there’ taming the waves and surfing better than ever to make themselves an Awesome PHP Expert both in their own eyes (for self-accomplishment) and for the PHP Community. On the other side, this is an opportunity for new PHPers to get to know their “PHP Elders“. I hope you will derive as much fun to read my interviews as I’m having by interviewing those A-List PHP guys. out-dated content – As PHP has marched to what it is now, little has been done by bloggers and article authors to update their PHP articles which were written in the ‘cave-age’ of PHP. Btw, you need to read & re-read Ben Ramsey’s talk on Modern PHP – click! “STOP, STOP, STOP! That is enough! We can’t go on like this!” YES! Someone finally took the responsibility to make things go in The Right Direction. And this man, this brave man, this ‘super-hero’ is here to make a change happen – he is named Mr Josh Lockhart. He is The Captain America of The PHP Community! Josh came forward with a convincing righful movement (if I can allow myself to tag it as such) to help PHP-ers get a sense of good direction when it comes to ‘dealing with/and taming’ PHP as a tool to make good software. This initiative is named as PHP The Right Way! As with any endeavours that is meant to bring a positive change, it is not just (and cannot be) a one-man show! The Avengers, does that ring a bell? YOU have to help as well! YOU, yes YOU- if YOU consider yourself part and parcel of The PHP Community, raise forward and help US help PHP be tamed The Right Way! All the other heroes have joined forces as well and you can find them all here in this list on Github | or see the Credits’ section down the home page on phptherightway.com – so join the party, we need YOU as well! Each one of us has a unique skill and this will help everyone. For community is family and to help family is ‘going beyond in thyself’! How can you help you say? Aye! If you find a code that can be improved, feel free to express your view on it to the author – of course, in a gentleman-nish way. If the author does not respond, blog about it and share with the PHP community! THOUGHT/ProTip: PHP is not just about the codes, it’s much more than that – It’s about The Community! 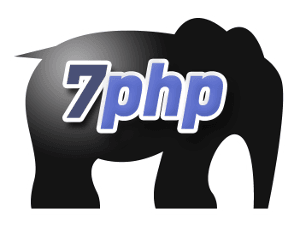 Time to get back to our 7PHP ‘PHP advice’ from people doing it the right way. Let’s now hear from Josh Lockhart! I am a developer at New Media Campaigns, a web design, development, and marketing agency in the amazing small town of Carrboro, North Carolina. I’ve worked for New Media Campaigns since 2007 where I juggle both front-end and server-side development. During my spare time, I enjoy participating in open source projects. I created and maintain the Slim Framework, a popular PHP micro-framework that makes it easy to develop web applications and APIs. I also created and maintain PHP The Right Way, a popular initiative in the PHP community to demonstrate PHP best practices, accepted coding standards, and links to authoritative tutorials around the Web. I graduated from the Information and Library Science program at the University of North Carolina at Chapel Hill in 2008 and currently live in Chapel Hill, North Carolina with my wife and two dogs. I started learning PHP back in the early 4.x days when I was in high school. I had already picked up some basic HTML and CSS skills, and I wanted to expand my toolset. PHP was the most accessible programming language to me at the time, so I bought some books at Barnes and Noble and spent many late nights reading, learning, and slowly building my skills while working on freelance projects. >> Your LAMP stack comprises…? I don’t use the traditional LAMP stack. Instead, I run a separate Ubuntu Server VM with Vagrant for each ongoing project. Each VM runs nginx, php-fpm, MySQL, and other tools depending on the project. I had initial doubts about this workflow when Kris Jordan first introduced me to Vagrant, but I’ve fallen in love with the process. I can setup and teardown VMs really quickly. All of my work is stored in GitHub and accessible on whatever computer I happen to be using at the time. There’s no comparison, really. PHP today is lightyears better than PHP when I first started. It still has its oddities, but what programming language doesn’t? A lot has been written about this, so I’ll be brief. The best parts of PHP are summarized on PHP The Right Way. But if I had to pick, I’d say that Composer and Packagist are probably the two most important additions to the PHP community in the history of the language. The worst part of PHP (well, the one thing that constantly annoys me) is function naming inconsistency. There are some functions that I always have to Google to remember the correct signature. Find good online resources and communities and use them to your advantage. There are so many online resources about PHP, and most of them are either outdated or just not that great. This is one of the reasons I created PHP The Right Way, and I’m thrilled that so many community experts and leaders have helped contribute to the project. I’d start with that. Also seek out your local PHP User Group and go to as many meetings as you can. Not only will you learn new skills, but you’ll make friends and networking connections. >> What are some common PHP mistakes you often see beginners make? Beginners will often re-invent the wheel, so to speak. Which is a decent way to learn, but it’s not very efficient. Instead, I recommend using existing components (e.g. via Composer and Packagist). You can learn from reviewing the components’ source code. Once you get comfortable, you can even submit a pull request or two. I don’t have a particular book, perse. I’ve mainly learned from online resources. The online PHP documentation is also a surprisingly good, reliable resource, especially the user comments. I also recommend that you find and follow active and reliable PHP users on Twitter. I use SublimeText and vim for my day-to-day editing. I’ve recently started using PHPStorm specifically for working on the Slim Framework, but I’m not yet proficient with it. Honestly, I’m happiest with a simple text editor and a terminal window. I use PHPUnit for unit tests. I use XDebug with MacCallGrind when I need to troubleshoot performance issues. For small sites and APIs, my own Slim Framework is nice, as is Silex. For larger applications, I’d steer you toward Laravel built by the incomparable Taylor Otwell of UserScape. PHPUnit. It’s been around forever, but it’s still the best. Whatever works best for the job. I’ve recently become fond of Drupal, but it’s certainly not for everyone. ExpressionEngine seems to be on its way out the door. Several other favorites are HiFi and Statamic. None. I’m not a fan of e-commerce, and I would typically avoid self-hosted e-commerce systems. If you want to do e-commerce, I’d use Shopify in conjunction with Stripe. This way infrastructure and PCI compliance are outsourced to people who know what they are doing! >> Do you recommend using database layers and ORM? If yes, what database “framework” you would recommend? It depends. For quick prototypes or for applications where absolute performance is not a big concern, then ORMs are fine. But they should not be a crutch for poor SQL skills. You should make certain that your ORM generates efficient SQL queries. If you do need to worry about performance, nothing beats dropping down to raw SQL and PDO. If I had to recommend a particular ORM, I’d use Laravel’s Eloquent component. Twig. No competition. It seems like every project I make uses it. It’s the best PHP templating framework out there, even better than PHP itself! Fabien Potencier is a genius. Phil Sturgeon. He’s always pushin’ code and gettin’ it done. There are too many to list. I can’t remember them all. The most important lesson I’ve learned is that there are no “famous” PHP people… there are only people that participate and make things happen. I’ve also learned that there is no shortage of opinions, and that the PHP-FIG is the best and worst thing ever. It’s not easy, but I try to stay off my computer as much as possible after I get home from work. But sometimes my wife and I will crash at our local coffee shop and I’ll knock out some code and catch up on GitHub issues. There’s an A-List?! haha. I certainly don’t consider myself on it. But I think PHP The Right Way is my proudest accomplishment when it was able to bring so many PHP users together for a common good. Success is relative. You can be successful in your company, your local user group, etc. The key is to just get involved. I got involved and created open source projects on GitHub. With a bit of luck and a lot of hard work, I’ve gotten to where I am today. Actually, I have not attended a conference yet. I’m not really a conference person. As my wife can confirm, I’m a pretty quiet guy, I’m not a fan of large crowds, I don’t drink alcohol, and I’m most comfortable sipping a coffee while coding away at my local coffee shop. I’m sure I’ll find myself at a PHP conference eventually though! – Translate PHP: The Right Way into your language if it hasn’t been translated yet. Case is that translating such sites to other languages is perhaps a bit time consuming task since everyone speaks English but it is good for local PHP User Groups to gather and have some more common terminology.